Construction site with abandoned equipment 4K. Dolly slide shot of old portable concrete mixer in focus with shovel and freshly built wall in background out of focus. hd00:09Construction site with abandoned equipment HD. Dolly slide shot of old portable concrete mixer in focus with shovel and freshly built wall in background out of focus. 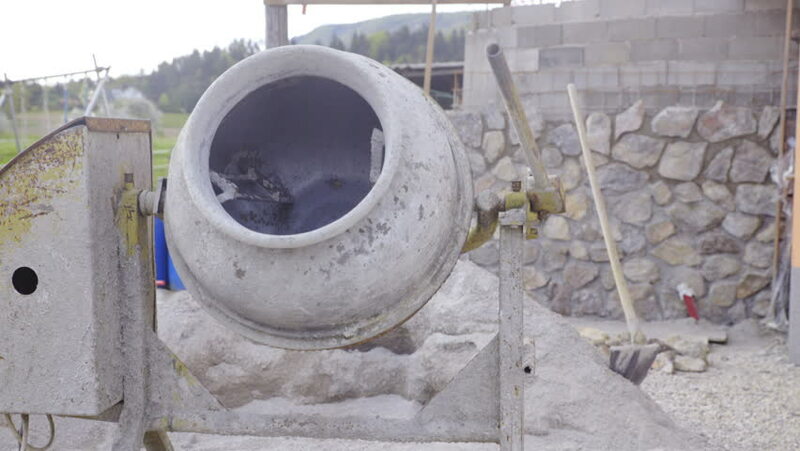 hd00:10Industrial cement mixer machine at construction site. Concrete pouring. Construction worker mixing mortar. Pouring concrete mix from cement mixer. hd00:10Construction site equipment with no workers around HD. Dolly slide shot of shovel in sand in focus and portable mixer on left side out of focus. 4k00:10Construction site equipment with no workers around 4K. Dolly slide shot of shovel in sand in focus and portable mixer on left side out of focus. hd00:50The laying and fixing of new pavement bricks.